Creative Action Network has invited artists to (re)imagine patches for space missions past, present and future. Proceeds support SpaceHorizons, a non profit organisation promoting STEM education for minority and female students. We’ve a few: NASA’s Europa Clipper, NASA’s Europa Lander, ESA’s/NASA’s Cassini-Huygens mission and one for the Grand Finale of Cassini-Huygens. 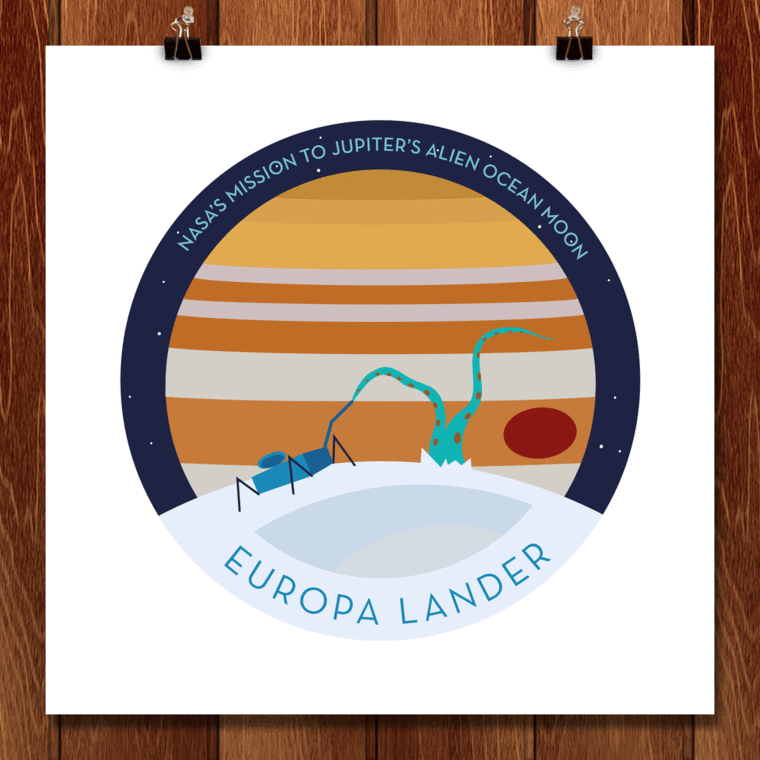 NASA’s Europa Clipper Mission is the second space mission that we illustrated in a “patch” for the Creative Action Network‘s Space Horizons campaign. 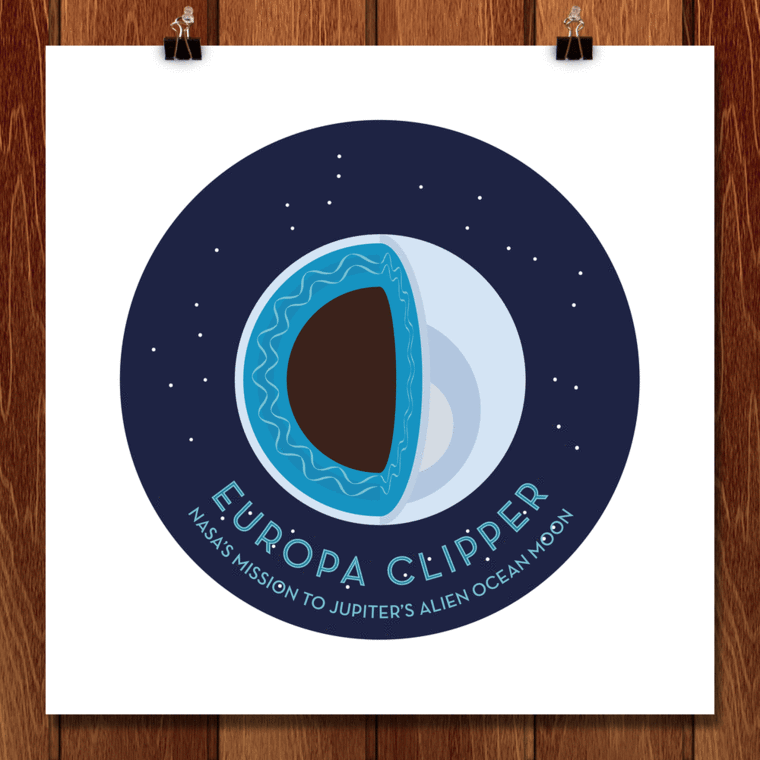 Clipper will fly to Jupiter and its moon Europa in the 2020’s to investigate its ice-covered subsurface ocean and the possiblities for it to harbour life. The Europa Lander will land on Jupiter’s moon Europa to investigate the ice-covered subsurface ocean and the possiblities for it to harbour life by examining samples. It will follow NASA’s Europa Clipper Mission​. I chose to illustrate the Europa Clipper and Lander missions because astrobiology is a very fascinating topic. I first heard about Europa in 2003 when I took an extracurricular course in astrobiology at Lund University and I have been intrigued by the topic since then. Cassini is an unmanned spacecraft sent to the planet Saturn, together with the Huygens probe that landed on Saturn’s moon Titan. 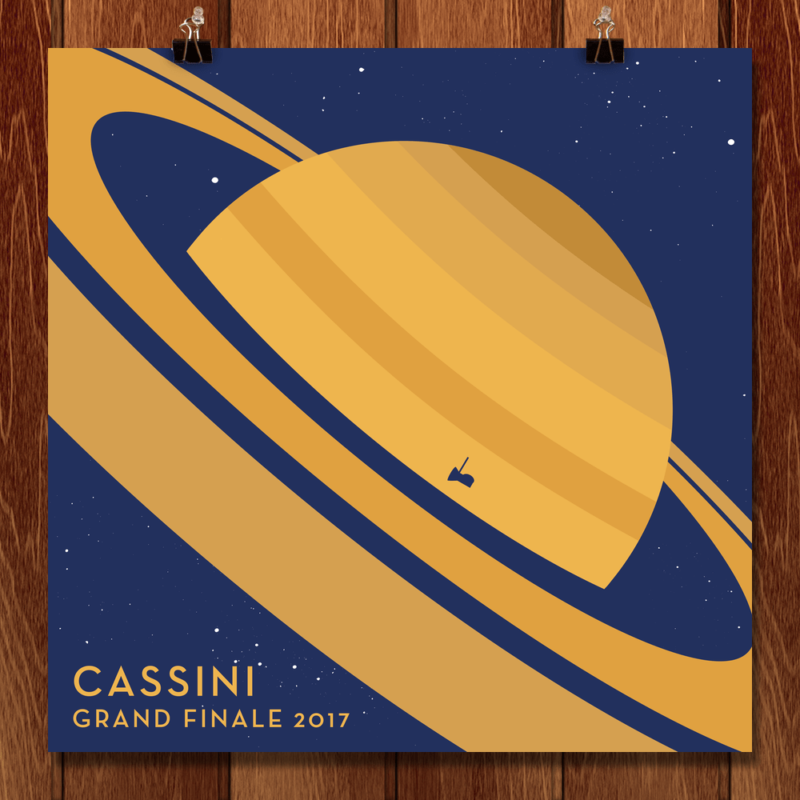 After 13 years in service around Saturn and its rings and moons, Cassini will plunge into the interiors of the gas giant on 15 September 2017. Right now (July 2017) the spacecraft is doing its final risky orbits between the planet and the ring system, collecting as much information as possible. Key goals included investigating conditions that could harbour life on Saturn’s moons. It’s a collaboration between NASA’s Jet Propulsion Laboratory and the European Space Agency. 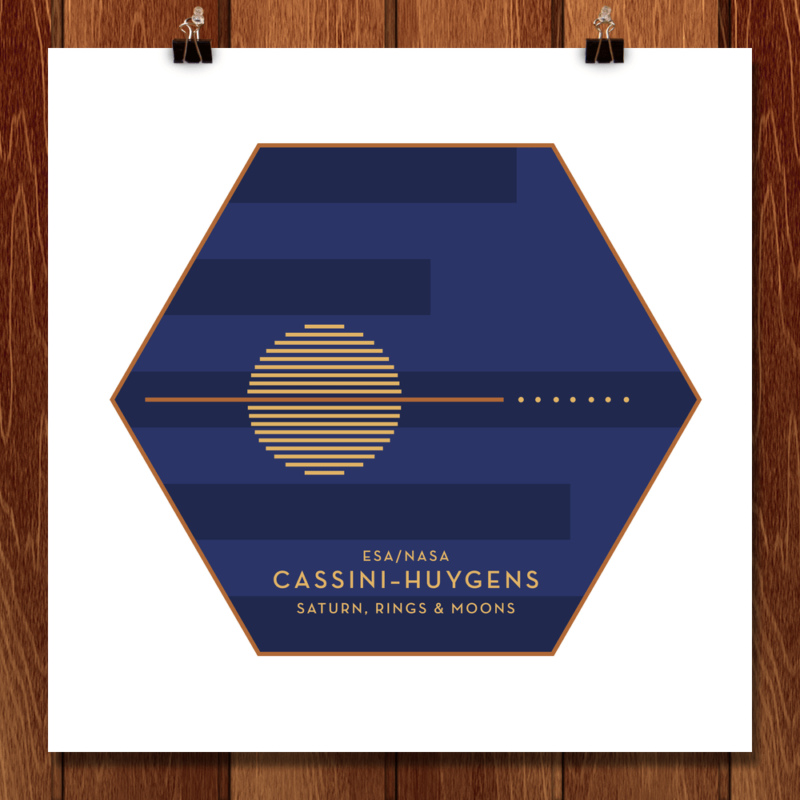 I chose to illustrate Cassini-Huygens because the mission has provided a lot of new knowledge and clues about habitability on other planets and moons, and because the imagery sent back to Earth has been spectacular.